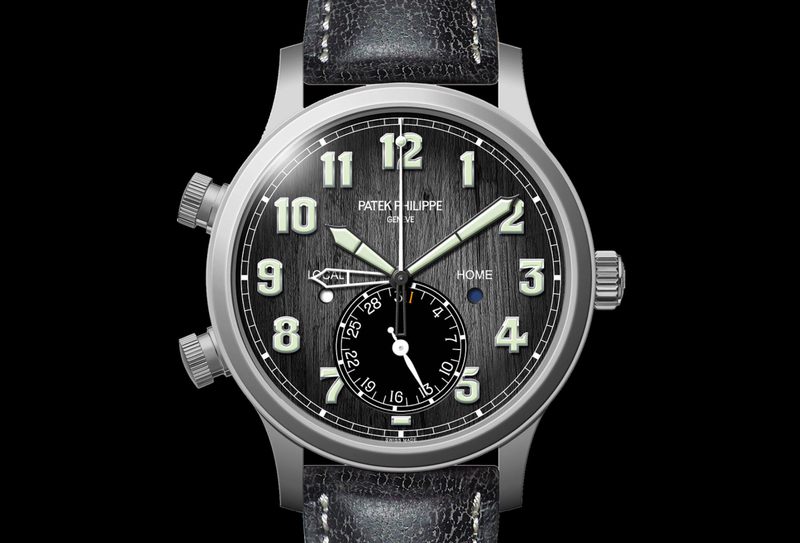 In 1925, Patek Philippe debuted Ref. 97975, the world’s first wristwatch with a perpetual calendar. For almost a century, the Swiss watchmaker has continued to build on their reputation for producing perpetual calendar timepieces, which automatically indicate months with 28, 30, and 31 days and every four years also recognizes the 29th of February as a leap day. In fact, the only adjustment will need to be made in 2100, as it is a secular year according to the Gregorian calendar, so the date display must be corrected by hand. At Baselworld 2017, Patek Philippe launched the Ref. 5320G Perpetual Calendar, inspired by many of the predecessor models (see timeline) from the 1940s and 1950s, such as the Ref. 1518 from 1941, and the Ref. 1526 from 1942. Both of these timepieces feature a double aperture for the day and month at 12 o’clock, and subsidiary dial at 6 o’clock for the date by hand and the phases of the moon. 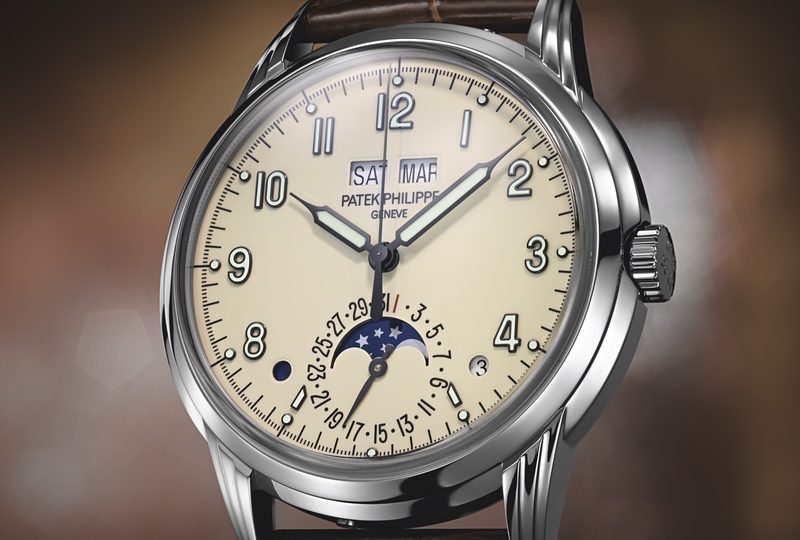 The 5320 dial has the same popular layout, with the addition of a small round day/night aperture between 7 and 8 o’clock and a round aperture for the leap year cycle with Arabic numerals from 1 to 4 between 4 and 5 o’clock. Featuring a unique cream-color, also referred to by Patek Philippe as “brass, cream-colored lacquer” the all-new 5320G dial is endowed with applied blackened gold Arabic numerals (except at 5, 6, and 7), with luminescent material. 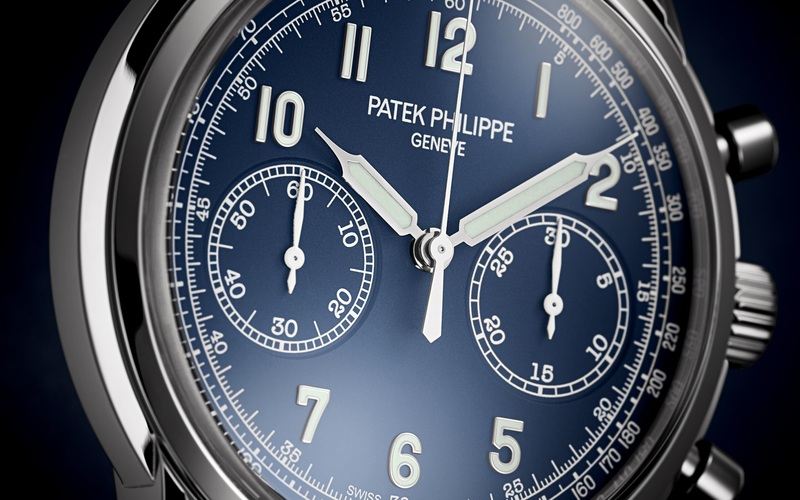 Applied five-minute luminescent cabochons further enhance the legibility of the dial. The syringe-shaped hour and minute hands (that are reminiscent of the Ref. 1463 chronograph from the 1950s) are also in 18K blackened gold and filled with luminescent material. A centrally-mounted Parfil seconds hand, made of 18K blackened gold and counterbalance, continuously sweeps around the dial. The date and minute/seconds scale are printed in black, along with the logo at 12. The classic, round, fully polished 18K white gold case measures 40 mm x 11.13 mm, has a 21 mm interlug width, and length of 47.98 mm. Uniquely, the lugs have a distinctive three-tiered design inspired by Ref. 2405, from over 60 years ago. Further, the sapphire protecting the dial is a “box-type” crystal that harkens back to plexiglass crystals that were designed in that shape for integrity reasons. The caseback features a sapphire crystal as well, although on request it can be replaced with an 18K solid white gold caseback. 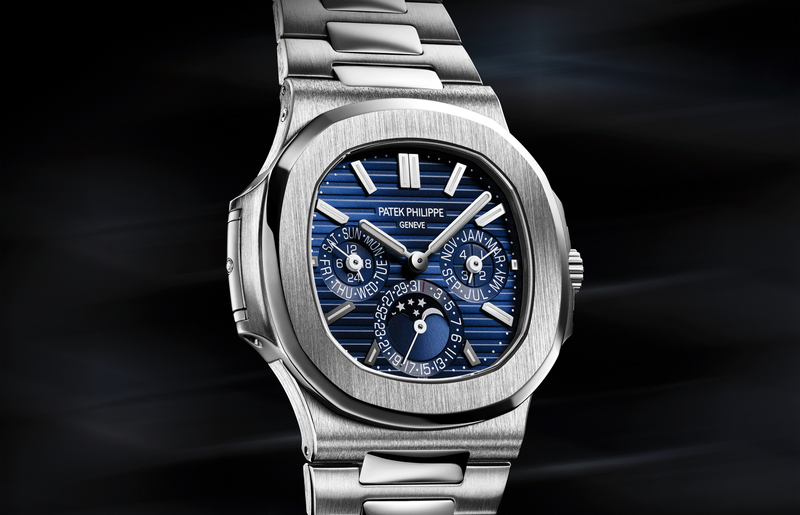 Patek Philippe in-house automatic caliber 324 S Q powers the new 5320G. It is wound by a full size unidirectional 21K gold rotor and features a 45-hour power reserve. The 4Hz (28,8000 vph) movement measures 32 mm x 4.97 mm and consists of 367 components, 29 of which are jewels. The regulating assortment boasts a Gyromax balance wheel, Spiromax balance spring made of Silinvar, and an adjustable balance spring stud. The rate is -3 to +2 seconds per day. The watch functions include a perpetual calendar with day, month, leap-year cycle and day/night indication in apertures. Analog date. Moon phases with a manual change only needed every 122 years. The contemporary vintage style of the new Ref. 5320G perpetual calendar comes with a shiny chocolate brown alligator strap with large square scales and is secured with a deployant buckle in 18K white gold. The retail price is $82,784. Learn more at Patek Philippe.